The project manager of the 178-acre Hazelwood Green site presented an updated plan for the former brownfield site this week. “We are thinking not about the world today, necessarily, we’re trying to bridge where we’re at today and where we could be 20 years from now,” said Rebecca Flora, principal of ReMake Group. 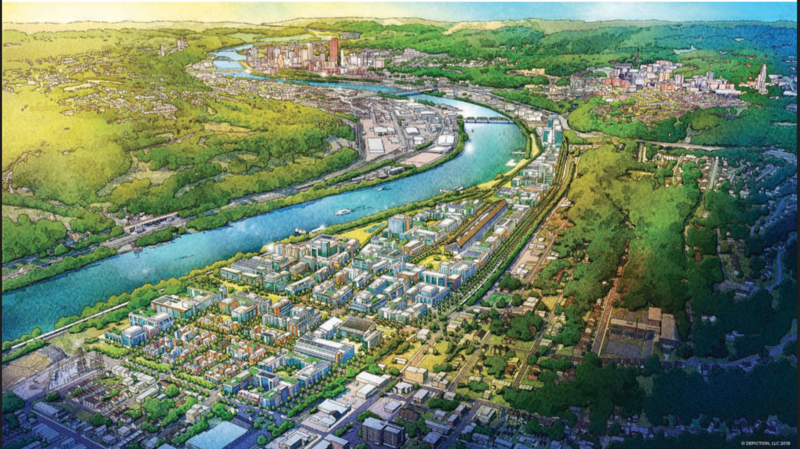 Under Pittsburgh’s zoning code, Hazelwood Green is a specially planned district which allows the planners to create their own unique framework to accomplish site-wide goals. For instance, instead of requiring a minimum number of parking spaces per dwelling or business, the development will put a limit on how many parking spaces there can be. That's meant to force the development community to think differently about transportation, said Flora. Multimodal transportation is one of four areas of sustainability Hazelwood Green’s planners want to focus on, along with water, energy and socioeconomics. In her presentation, Flora emphasized that the site is part of a neighborhood, and not separate from it. The goal is to become a thriving sub-neighborhood that supports community growth and well-being, she said. 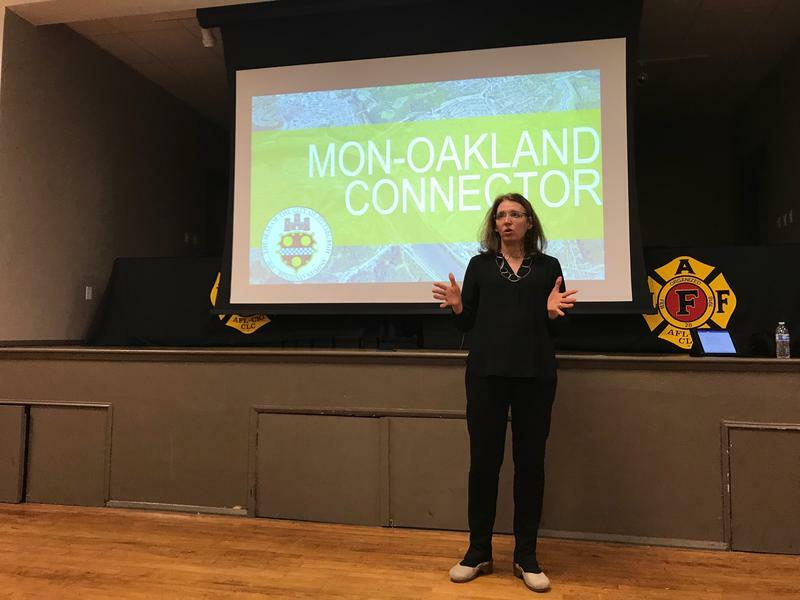 “But some of it has to happen outside of this type of a planning document because of what it is, it’s a policy document for planning and design and zoning,” said Flora. In September, a hearing will be held on the plan and members of the public will be able to comment on it. Flora said neighborhood groups would attend the hearing to talk about how development of Hazelwood Green and planning processes in the neighborhood are working together. The site lies along 1.2 miles of riverfront and is broken into three districts: the river district, the mill district and the flats district. Each of the sections has distinct uses and height requirements, from townhouse residential to light manufacturing. It is owned by three foundations: The Benedum Foundation, The Richard King Mellon Foundation and The Heinz Endowments. 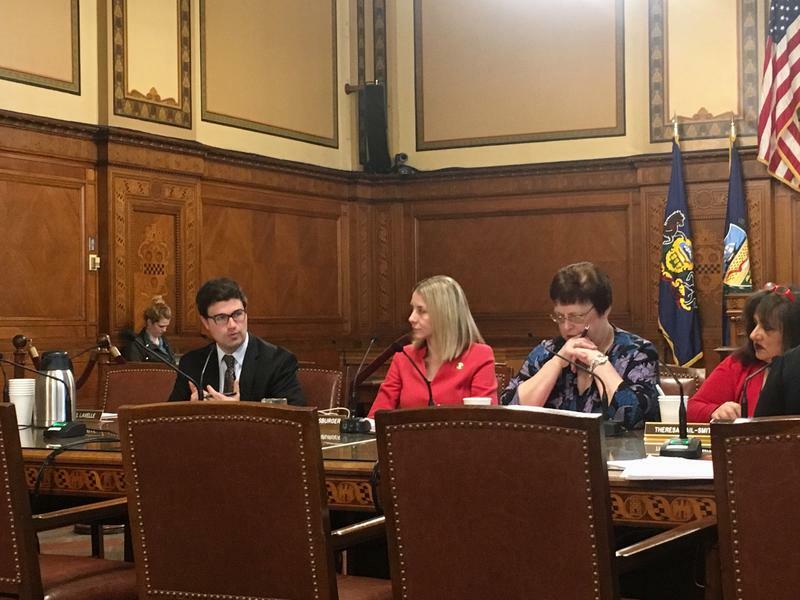 The specter of rising housing costs in the neighborhood of Hazelwood is prompting Pittsburgh City Council to consider reserving some publicly owned property for use as affordable housing. 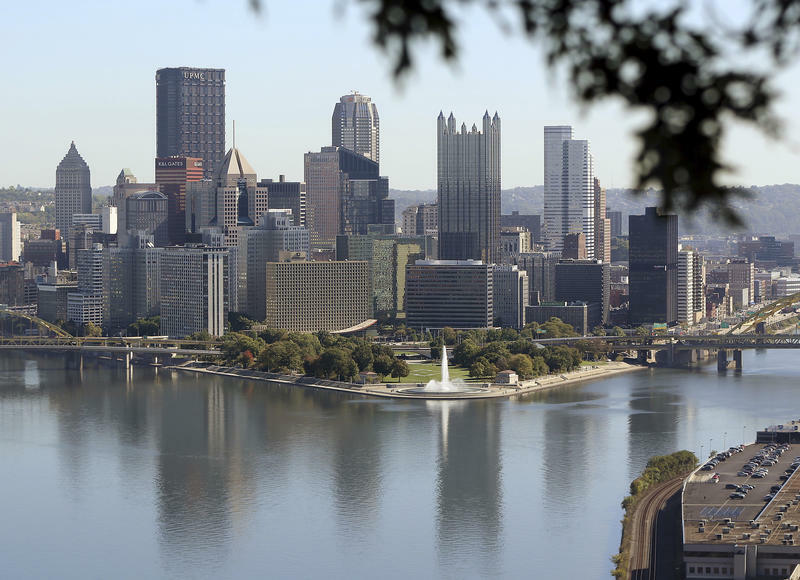 A shuttle service between Oakland, Four Mile Run, Greenfield and Hazelwood could be built by the City of Pittsburgh by 2020. The Mon-Oakland Mobility Plan was called a “proof of concept” for how transportation could work in Pittsburgh. Details of Pittsburgh’s Amazon headquarters proposal won’t be released to the public because the city signed non-disclosure agreements with private developers.